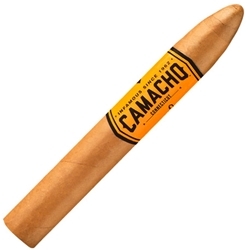 Every Camacho Connecticut Figurado Cigar offers a flavorful blend of Honduran and Dominican tobaccos making them very smooth with a hint of cedar and earth. The light brown Ecuadorian Connecticut wrapper adds in a little zest with tastes of pepper on the back-end. Try them today here at Smokers Discounts!